Following my new format, today is Free Form Friday and I'm in the mood to share a little bit of everything today. First, I'm really excited to be going on the NJ Shop Hop tomorrow with two friends from my quilting group. I set up bins for the three of us to store our purchases during the trip. The little labels say "Hi My Name Is" with each of our names. Inside each bin I've also included 2.5" fabric strips I matched to each of us. I also made pull through tags from each of the fabrics. Pull through tags are 4" x 1" strips of fabric with a 1" slit half an inch in from one of the ends. Once our bins are full, we can use these tags to mark our bags. They're fun, quick, easy and we'll be able to quickly identify our own bags. With any luck, one of us will win one of the prizes! 1. Sashiko Dragon Flies - I'm a bit further along with my dragon flies. I decided to stitch them in a different color from the grid. I just happened to find some gold sashiko thread at Happy Quilter. And I had a great time chatting with Susan at the store. 2. Oh, My Lonely Heart - I still haven't decided on how to quilt this project. I think I'll baste it on Sunday and see how the spirit moves me. The graphite ombre is the front with the quilted and appliquéd on heart. The graphite ombre dot is the back. The graphite zig zag is the binding. Any ideas? Let me know what you think! 3. 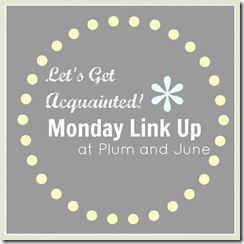 Free Motion Quilting - I shared these two projects here and here. I've had them sitting together until I can find the rest of the fabric I used to bind the first one. I have enough fabric left to do at least one more in this fabric combination. There's lots to love about them and lots to fuss over, but I think they'll look nice hanging on the wall over my piano. 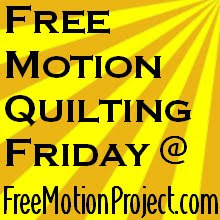 I'm linking up to Leah Day's Free Motion Quilting Friday. It's also worth noting that I've officially lost the marked whole cloth I'd started. I had marked Leah's Hearts and Feathers pattern on a beautiful red batik. It's been gone long enough for the markings to have faded so I'll be starting over next week. Glad I didn't take the pattern off the window! Your free motion minis are really pretty! What about an all over meander with random little hearts? Or are you thinking of something more complicated? Love your little dragonflies! I love your system for the shop hop! Have fun! I love the dragon flies, and the free motion minis are really great. Nice FMQing! Leah Day has a design called Bubble Wand That I think would look nice! Hope you fill the bins up!